Choosing a toilet can be confusing. It’s hard to tell at a glance the difference between a $200 toilet and a $500 (or even $1200) one. Toilets are rated by how well they flush various test samples. You want a toilet that passes the 1000 gram flush test. In this article we’re going to outline some important features to note when shopping for a toilet and share some choices using our Good, Better, Best Estimate System. 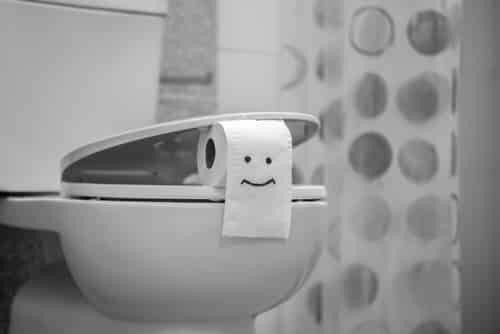 Toilet style is largely about personal taste but there are some important style features to pay attention to. With one piece toilets, the tank and bowl are one unit. In Two piece toilets, the bowl and tank are separate and bolted together during the install. The main advantage of the one piece toilet is that they are easier to clean, they are also quite a bit more expensive than the two piece. In my opinion, the additional cost of the one piece is not worth the extra expense. Most people have an open trap way (pictured on the left). You can see the outline of the “trap” and discharge pipe. A concealed trap way or ‘Skirted” toilet hides the trap and are much easier to clean. Concealed trap way toilets used to be very expensive but lately several companies have come out with budget-friendly models. In my opinon, the concealed trap way toilet is a great option and well worth the additional cost. Round bowls are usually used where space it limited. Elongated bowls are generally considered more comfortable. Height is a function of comfort. Most people like a toilet that is 16 to 18 inches tall. Older toilets are shorter, about 15 inches. Taller toilets are often called “comfort height” or ADA compliant. Wall hung toilets are very easy to clean around and the tank can be concealed in the wall for a really minimal look. Expect a wall hung toilet to cost about twice as much and be much more expensive to install. A great feature and well worth the extra $30 they cost. We are not really sold on touchless flush or dual flush toilets. Most toilets use less than 1.3 gallons to flush these days anyway. We are huge fans of bidet seats and think everyone should be using them. We’re not sold on this as a feature just yet. We are not really sold on touchless flush or dual flush toilets. Most toilets use less than 1.3 gallons to flush these days anyway. We are huge fans of bidet seats and think everyone should be using them. I’m not convinced dual flush is worth the extra complexity. Toilets use less than 1.3 gallons to flush these days anyway. 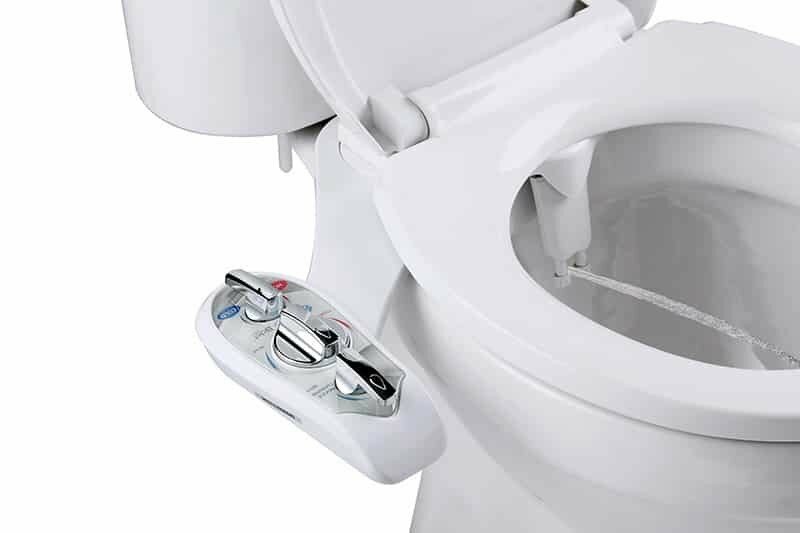 Chances are if you are American you have not experienced using a bidet. There is a bit of a learning curve to using them but there is no better tool for improving your personal hygiene. Bidet seats range in cost from $75 for cold water model (my personal choice), $300 for basic warm water models and $1200 or more for models with features like air drying, perfumes and auto cleaning. Bidets are also environmentally friendly and much easier on our already overloaded sewer systems. Stick to name brands. Kohler, American Standard, and Toto are our go to toilets. Sure there are some brands we are unaware of that could be great toilets but there are many more off name brands that are junk and waste of money. Saving $100 on a toilet is not work 15 years of bad flushes noisy toilets.